6 April 2019 Tazria Kiddush Melvin and Joy Kay This week's Kiddush is kindly sponsored by Melvin and Joy Kay to celebrate the new tax year! 6 April 2019 Tazria Magen Munchies Anonymous This week's Magen Munchies is kindly sponsored anonymously. 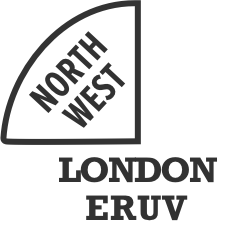 13 April 2019 Metzora Kiddush Simon and Esther Bentley The kiddush is sponsored by Simon and Esther Bentley in celebration of the birth of a granddaughter ‘Edie’, the first child for their daughter Tanya and son in law Eli (Wachsmann). 13 April 2019 Metzora Magen Munchies Family Shintag This week's Magen Munchies is kindly sponsored by Rachelle and Danny Shintag to mark their son Chaim's first birthday.